If you live in Somerville or any of the surrounding areas, it’s likely you’ve traversed the stretch of Beacon Street that runs between Porter Square and Inman Square, either by foot, bus, or car. The stretch is actually part Somerville and part Cambridge and is dotted with several food establishments. On the Northern end, close to Porter Square, there is Petsi Pies, Cafe Rustica, RF O’Sullivan’s, Mixtura, Zoe’s Chinese (which didn’t satisfy the one time I tried it) and Pho ‘n Rice. Halfway down is what some refer to as Dali Square, at the intersection of Beacon and Washington Streets. There you’ll find Dali, Bergamot, and The Biscuit, as well as The Wine and Cheese Cask. Just beyond that intersection is a small restaurant called Thai Hut that caught my eye every time I passed it. Something about its humble exterior and name, combined with the fact that I’m always game to try a new Thai restaurant. 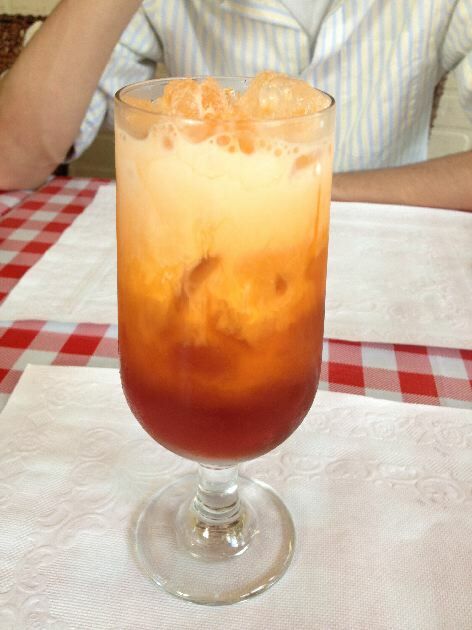 We started off with our usual appetizer/beverage, a Thai iced tea. It was as good as any other we’ve had. I haven’t noticed much variation in Thai iced teas, with the exception of the over the top rich one we had at S & I Thai. 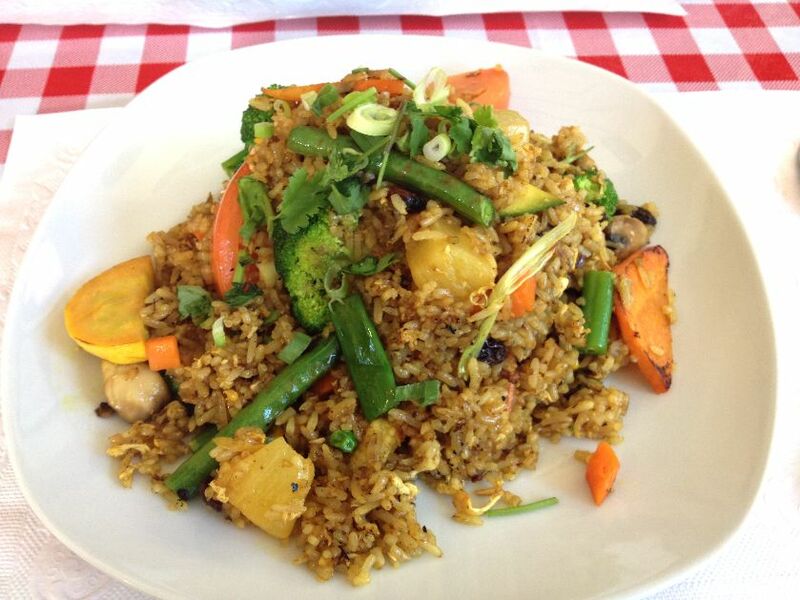 Pineapple fried rice ($7.55) – fried rice with onion, pineapple, raisins, tomatoes, egg, scallion and curry powder. I enjoy fried rice, and I’m always intrigued by the different variations I see on menus at Thai restaurants. But ultimately, whenever I go out for Thai it’s because I’m craving noodles. Finally, on this visit, I was ok passing on the noodles and trying something else. The rice was fried to a nutty golden brown with a subtle curry flavor. Chunks of pineapple added a juicy sweet and sour note. Lots of flavors and textures that melded together perfectly in one dish. 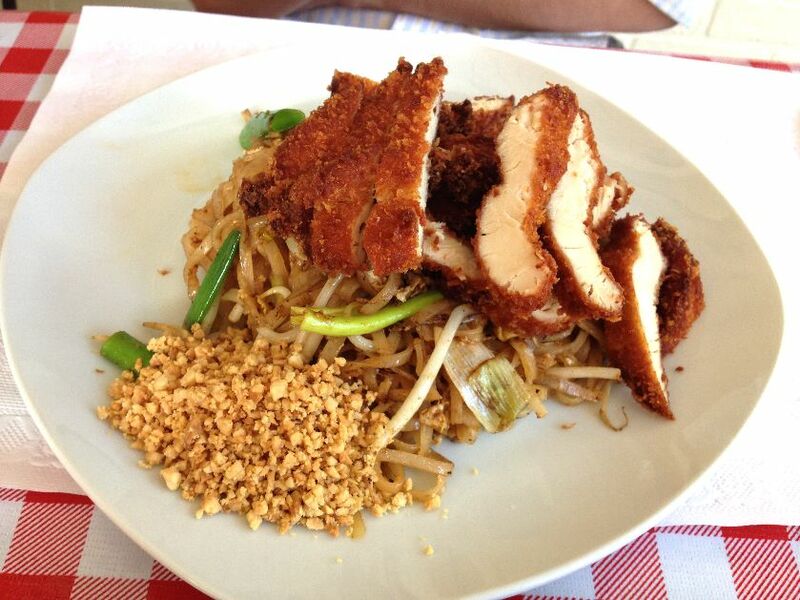 Crispy chicken pad thai ($8.95) – This was a fairly average pad thai, nothing outstanding. I did enjoy S & I’s pad thai more, but theirs was better than any other I’ve had in Boston. If I still lived in the area, I would absolutely return regularly just for the pineapple fried rice. It was a really well-executed dish. It was satisfying and a good amount of food for the price. One last item of note, the prices at Thai Hut seem to be about two or three dollars cheaper overall than most other Thai restaurants I’ve been to in Boston, and for comparable quality. While I can’t speak to much else on the menu, I would say the pineapple fried rice is worth venturing over there for. This entry was posted in Boston, Reviews and tagged Boston, Reviews, thai. Bookmark the permalink. Man I love good thai food and sadly it is so hard to find! I wish I had known about this place when I still lived in Boston! This is just a block from my house & now I’m craving pineapple fried rice. I’m definitely checking it out sooner then later. I am really glad to see this post. 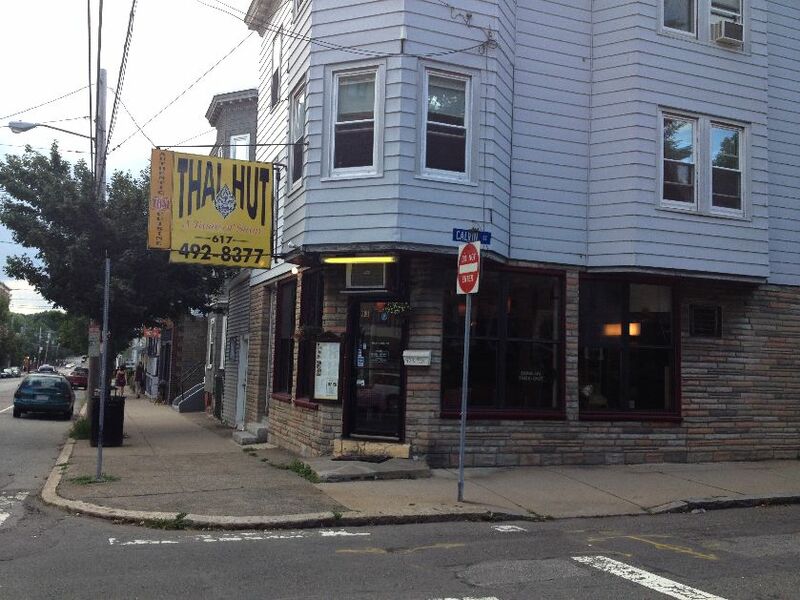 We’ve probably passed Thai Hut 800 times (and every time I think Christopher longs to stop in). Now that I know it’s legit, we’ll have to grab a meal there! I love the name Thai Hut! 🙂 Looks like a very cute place. mmm, pineapple fried rice 🙂 i usually go for a curry, but this would certainly be tempting!! I live right by this place, but have only ordered from them once. That pineapple fried rice sounds really fantastic – I’ll definitely have to go there again, just to try that! Aw! My old hood. Used to live about 5 houses down from there when I first moved to the Boston area. I usually get noodles when I go for Thai food too. Once we move, it’s my mission to start making more Asian noodle dishes at home. I’ve definitely gone past this place dozens of times. I always love a good hole-in-the-wall. I really like the name of this place and the unassuming exterior. that pineapple fried rice really does look amazing! Its so amazing to see people who are passionate about food. I hope I can visit Boston (and the restaurant) soon. For now, please begin reviewing New York’s best and worst! That fried rice looks and sounds incredible!Great review! !